Which DVD should you buy? Dr Paul Lam Dr Lam guides you through choosing the right DVD for you. His team of tai chi and medical specialists have created these products with the aim of helping you to improve your health and tai chi. Health series – designed to improve health and quality of life and shown by medical studies to be safe and effective. Arthritis, Diabetes and Osteoporosis foundations support the programs. The Beginners series – designed for beginners with little or no prior tai chi experience. You will feel almost like you’re in one of Dr Lam’s classes. The Intermediate series – recommended for people with approximately one year’s experience in tai chi, to improve your skill. The Advanced series – recommended for people with approximately two or more years’ experience in tai chi. Dr Lam recommends: Tai Chi for Beginners DVD and handbook. You should also read this article: Guide to using the Tai Chi for Beginners package. Dr Lam recommends: Tai Chi for Older Adults DVD. Follow the instructions on the DVD/video carefully. Take an overview of the whole DVD/video first to get orientated. Learn a small section at a time; practice until you are familiar with it before proceeding to the next. Be patient; the benefits and enjoyment of tai chi will come to you in good time. Allocate a time each day for practice, with as little distraction as possible. Utilize a mirror, a reflective window or a video camera to help correct your posture. Try to work with your instructor, or find a friend to practice with. 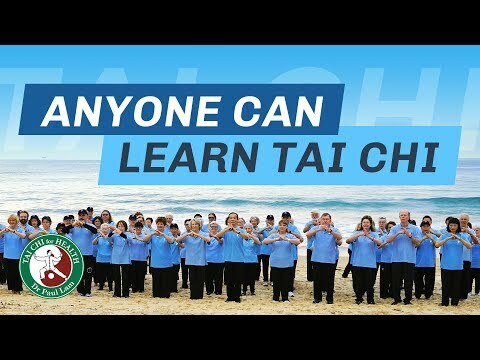 Note about our DVDs: Dr Paul Lam and his team of tai chi and medical specialists have created a range of DVDs to help you learn tai chi and improve your health. Every title is unique in its composition and includes simple step-by-step instructions. The method of teaching is designed to let you feel as though you are having a personal lesson from Dr Lam. All titles are professionally produced with broadcasting picture quality. Dr Lam supports his products online by answering any questions at Ask Dr Lam. For our direct buyers we offer money back guarantee within 30 days of purchase. You are welcome to contact us for assistance and/or with your comments.